Brand new addition to Chico posse… MILD version for all you trail hands that where asking for a little less kick. And don’t worry, we still have the famous Hot version that you know and love. 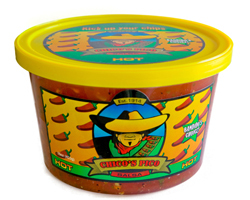 This entry was posted in Announcement and tagged Chicos, Chicospico, hot, mild, pico, salsa. Bookmark the permalink.